No, not the band. 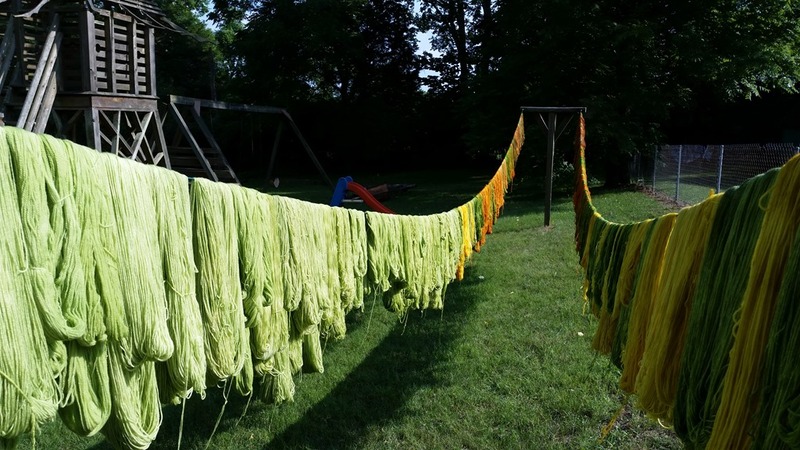 Green YARN day, my favorite, especially the warm greens which is what we dyed today. Oh, and we also did some yellow and orangey yellows. The sun was pretty bright when I took these so they are a little washed out. We did get a break from the sun for the first half of the day and it felt somewhat cooler but when the sun did come out it got steamy fast. 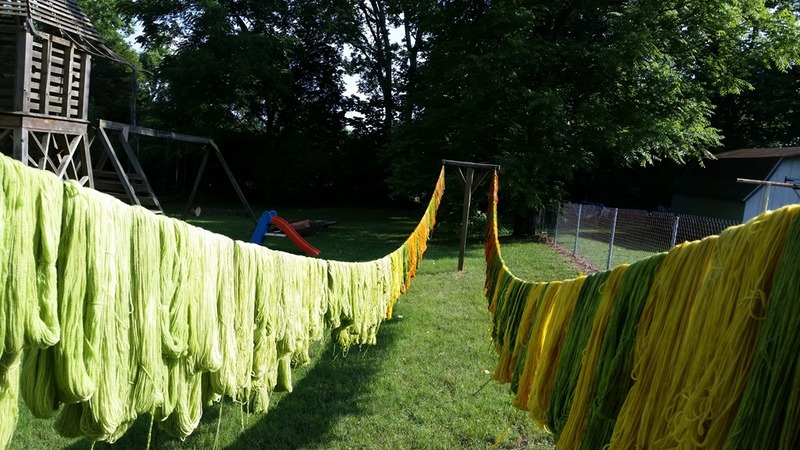 I hope you are all having fun with the daily yarn dyeing updates. Having something fun pictures to share each day is helping reignite the blogging habit for me. Here is a sneak peek at a new yarn we have that I will be adding to the website sometime soon. It will probably be several weeks before I can get to it though. 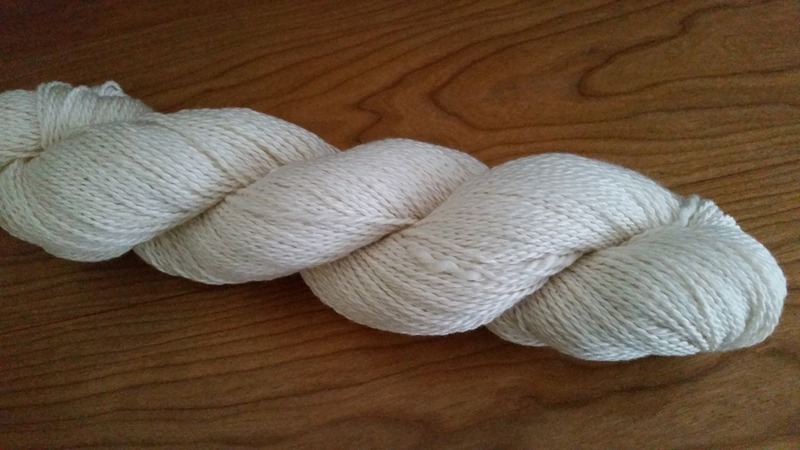 It is a sport weight organic cotton yarn that is grown and milled in the U.S. I was so excited to find it and the best part is that is very reasonably priced too. I will probably have it around $7.00 or $8.00 a skein. It is 100g and 280yd. It will be sold un-dyed because I DON”T dye cotton. 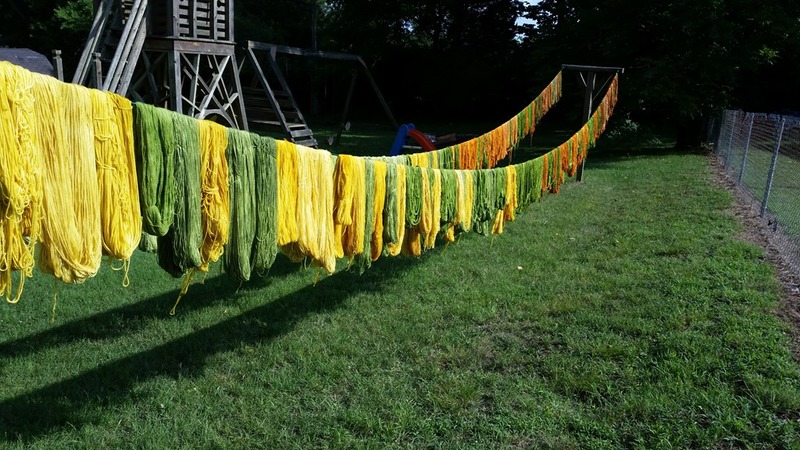 You can dye it yourself if you are so inclined, but I hate dyeing cotton, LOL! There will be more to come on this later. I am casting on one of my designs with this yarn soon. Okay kids, that’s all for tonight. I need to grab a bite to eat. Tomorrow’s color is cool greens and gray!